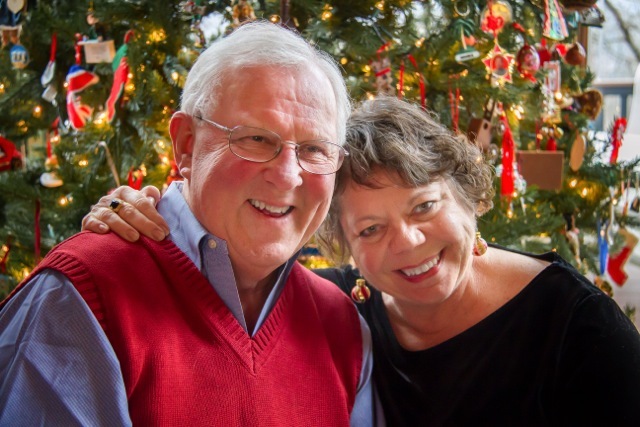 Family Holiday Traditions – Does Screaming Count? 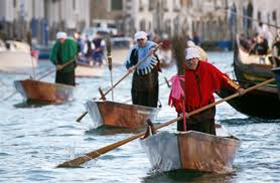 During the holiday seasons there are Italian traditions that I love to exploit – yeah exploit. Preparing the seven fishes on Christmas Eve, hosting a Christmas Day feast, having lentils with cotechino on New Years, celebrating Epiphany by hanging up my collection of La Befana dolls – all of these traditions that my Italian American pals tell me were incredibly important in their families I never heard of until I was in my 20s! When I discovered these traditions existed in other families I STOLE them and made them mine. I now embrace these traditions to reinforce that I am Italian. Some folks say I over embrace them – hug them until they pop. They were not a part of my childhood in poor rural agrarian New Jersey. Here, you hid the fact you were Italian – the elders remembered the WWII Italian interment or prisoner of war camps that popped up all over New Jersey. We’ll save the stories of those camps, that were as close to us as 10 miles away, for another day. 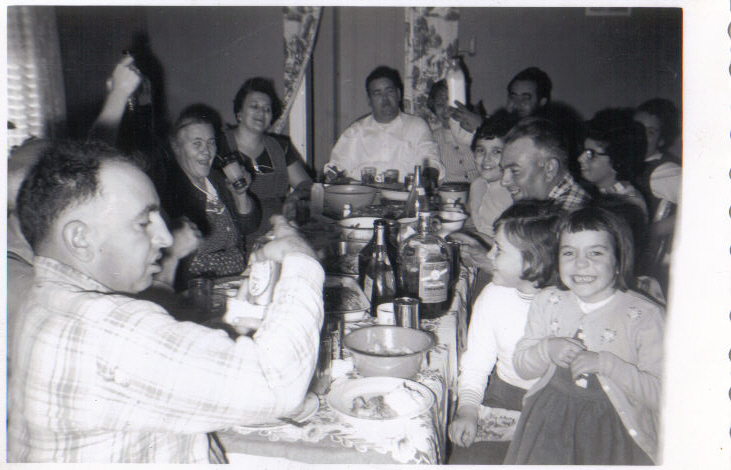 A typical meal at grandma’s – that is me grinning in the lower right hand corner. My first huge confession is that I never have gone to confession. That’s right, this kid with the Italian last name didn’t step foot in a Catholic Church until she was in college. I was baptized Lutheran and grew up in the Dutch Reformed Church. So I never heard of Epiphany or understood why eating fish on Friday was such a big deal. It all goes back to a randy priest in Manville who used to flirt with and chase my nonna around. Apparently, he was raising a lot more than the Holy Spirit with the Italian immigrant wives and my nonno, Francisco, wasn’t going to have someone else singing hallelujah with Mariarosaria. So, no one was allowed to step foot in a Catholic church. My dad said that Francisco held mass for the family every Sunday. He read from the bible, shared a lesson and reinforced that they were to put others first. What Francisco didn’t say was that he couldn’t read the bible – it was memorized or he gave a good facsimile of the word. Dad didn’t discover that his father couldn’t read until he was in high school and he needed Fancisco’s signature on a form for football. I remember eating fish on Friday or pasta with vegetables or just vegetables. I also remember being poor which meant that lots of days we didn’t eat meat anyway. It wasn’t until my first trip to Italy when I went to mass in the church that my grandmother was baptized and married in that I felt any connection to Catholicism. When we are in Pontelandolfo I attend church often, listening to the mass in Italian, seeing parishioners of all ages – without books – repeating together the litany. I feel my grandmother there and to me that is priceless. Today, I hungrily pour through cookbooks and dream about my next Christmas Eve. For the past two years, Jack and I have hosted a foodies night of seven fishes. We invite folks who love to cook and love to eat over on Christmas Eve. Everyone has to bring a fish dish and a healthy appetite. This year we started with calamari fritti, baccalà fritta, clam dip and skewered shrimp with a pesto. We moved on to Salad Niçoise – two fishes here – tuna and anchiovies. Next was an incredible New England fish chowder made with fresh cod. We were forced to take a Christmas Caroling break to help the food move south. We came in out of the cold for Cioppino – an Italian fisherman’s stew that had mussels, clams, shrimp, scallops, squid and a white fish. Time to start the bonfire. Pause and then finish our poached salmon, broiled flounder and green salad. So how many fishes was that? 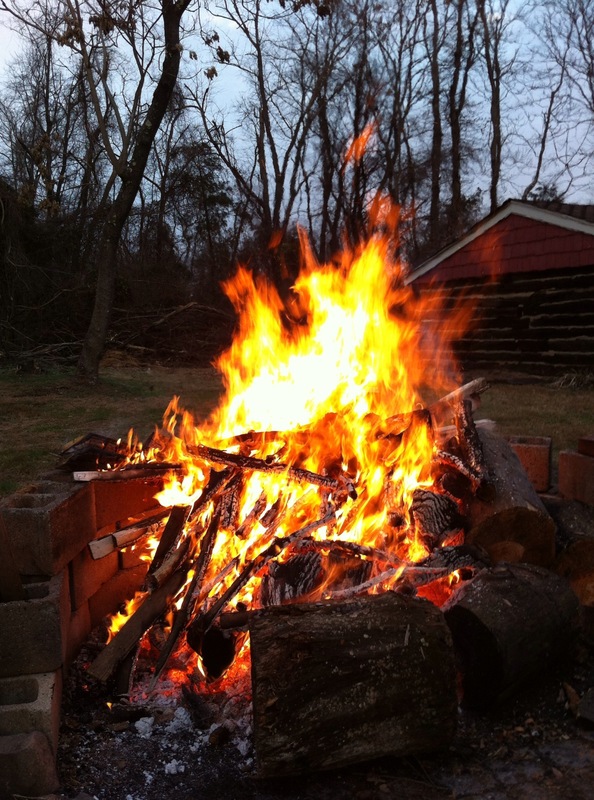 We start the festivities at 1:00 in the afternoon and go on and on until the fish is gone and we are sitting with glazed eyes in front of our fire pit staring at the flames and raising a glass of grappa to the baby Jesus. See what I mean about stealing the Seven Fishes tradition and going a bit overboard? Christmas Day in Flagtown now resonates with loud voices, laughter and more food trucked in by my sister, cousins and friends. The table is beautifully set with the “good china” and silver. We swap tales, scream at each other and generally have a good time. 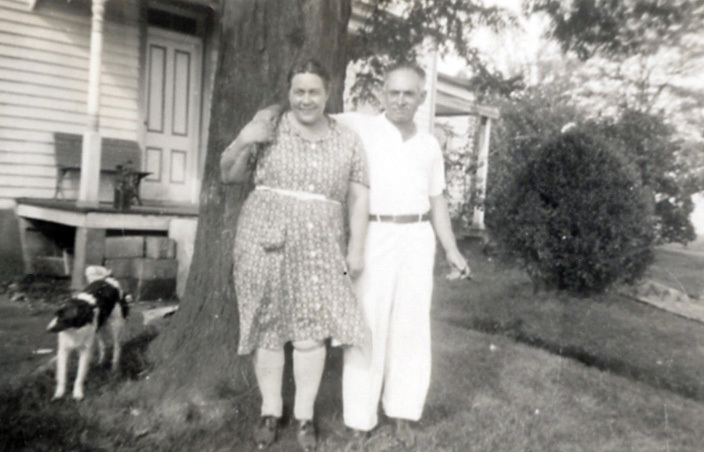 The Christmas Day’s of my childhood meant a day with mom and a day with dad – this was the fifties and they were the ONLY couple divorced in my home town. I remember my Christmas tradition being how to escape the angst. Now being the “family elder”, I do go a bit nutsy on trying to see that the younguns don’t feel uber angst. Can we talk about La Befana? One January, years ago, Jack and I were in Pontelandolfo visiting. Little witch looking dolls on brooms were being sold everywhere. Well, I just thought they were cute so I bought one and asked Carmela why they had all these flying streghe in January. La Befana in Sardegna! They had a huge celebration with lots of women dressed like La Befana roaming the streets. Here’s the story. One snowy night, this kind old woman, living alone in the forest, welcomed the Three Wise Men into her home. She fed them, heard their tale and watched them go to find the new born king. After cleaning up, she trailed them – never found them – but to this day brings gifts to children all over the world. Wow – kids got gifts on January 6th – brought to them by this kind old woman! What a deal – that never happened in Flagtown. Every holiday season all of my La Befana dolls come out. Watch your head – there she is hanging from the light in the kitchen. 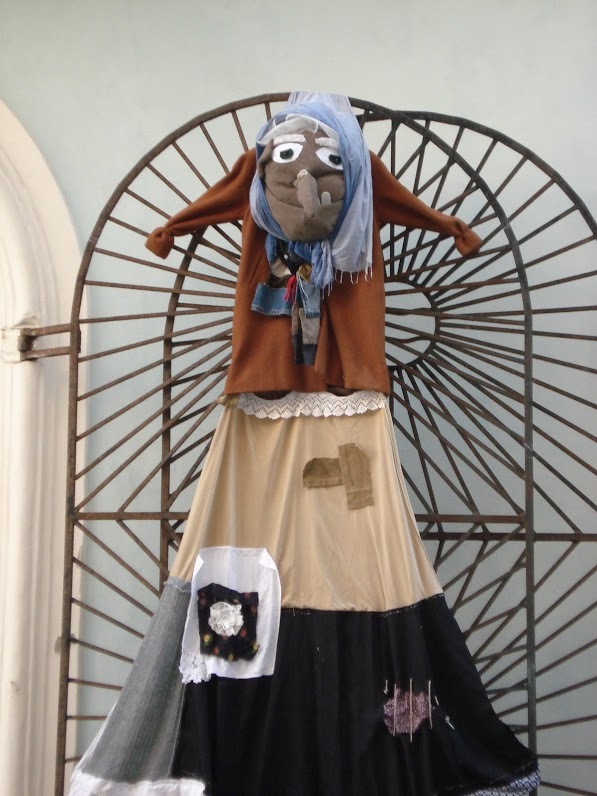 I researched La Befana’s story, wrote a play about her set in today’s world, did a storytelling session about her – well just became a la Befana fanatic. Do you see my pattern here? I want to thank all of the Italian American women I went to Montclair State College with who first introduced me to all things Italian. Next, I need to thank my ever patient family in Pontelandolfo who still giggle when I look so wide-eyed at a tradition that has been going on for years. Lastly, I need to thank the Meet-Up: Central Jersey Lovers of All Things Italian who keep all of these fabulous traditions alive for me today. Family Holiday Traditions – Embrace them and make them your own! Midge & Jack this Christmas! Here’s the deal: you come here for Passover, we go there for Christmas Eve! Those of us who are “Italian at stomach” also love these traditions. Can we go next time? I make a marvelous clam chowder with cod. It sounds like great fun! I love how you have embraced your Italian roots. It seems you have found your spiritual home. Very nice – personal and real. Your Christmas story touched me. How about if you send it to the New Yorker ?